Do you want accommodation close to the moose park? 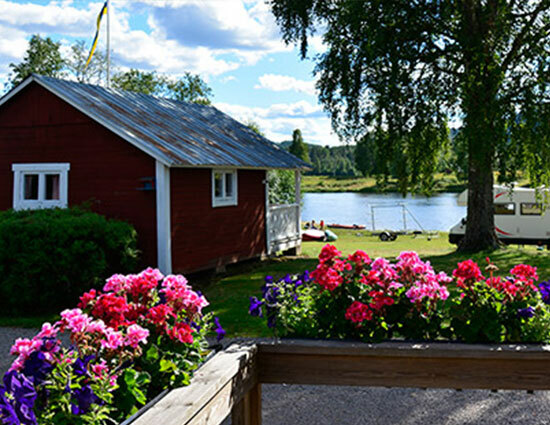 Why not stay at Byns Camping, our very own campsite on the shores of the Klarälven – campsite and cabins are open from 26/05 to 03/09. 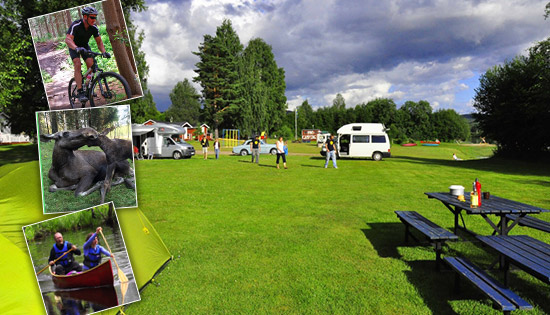 Byns Camping is the closest riverside campsite to the moose park – only a 10 minute drive away. It is beautifully located on the riverside of the Kläralven and overlooks the Church in Ekshärad. The campground is well drained and well kept; here you can sit by the campfire in the evening and watch the river flow by. It is great for wildlife and outdoor enthusiasts. Whether you are pitching a tent, parking a motorhome/caravan or staying in one of our cabins, we will always be working to make your stay with us relaxing and trouble free. Do you want to book a moose tour with accommodation or canoe hire? Contact us now and we’ll arrange the total package for you. Just let us know how many are in your group, the dates required and what you’re interested in and we’ll let you know very quickly what we have available.